One of the reasons were happy to Rocky Mountain only dealer in Boise, is that they understand mountain biking like no other brand. Take the new 2018 Rocky Mountain Pipeline. Sure it has 27+ wheels, but there is so much more to riding than spec sheets and numbers. A point captured perfectly by Wade Simmons and Jesse Melamed in the video. Riding is ultimately about freedom, going to places you’ve never been before, and seeing new ways to become a better rider. Maybe we’re just sentimental, but the video does a pretty good job at pulling at mountain bikers’ heart strings. Of course its hard not to get nostalgic about a bike that lets you ride like you are 12 again. Pipeline shares the 140 mm travel, 1x-specific platform as the new Instinct. We’ve talked about Instinct’s rave reviews, but that story did’t quite capture the platform’s versatility. When paired with 27+ wheels, the new geometry and suspension take on a whole new personality. If Instinct loves to be ridden with speed, focus and a sort of playful precision, Pipeline takes that playfulness up a notch and opens up so many more trail features. Steve Fisher over at Bike Rumor had similar things to say, noting that the Pipeline’s lightweight frame made plus sized tires viable – making his everyday rides more fun. Its a style of riding that predates Strava – more about finding out what you are capable of rather than how you measure up. Its strange that you don’t realize how much you miss it until you through a leg over a bike like the Pipeline. Pipeline is available in Alloy frames starting at $2,599 with a 1x Shimano drivetrain and RockShox Suspension. SmoothWall Carbon versions start at $4,469 with a GX Eagle 12×1 drivetrain and Fox Performance Suspension. Like the Instinct, the pipeline comes with 27 + wheels, but comes with a headset adapter in the box should you want to run 29 inch wheels instead. Come in today to pre-order your Pipeline or arrange a test ride to decide what bike is best for the way you ride. 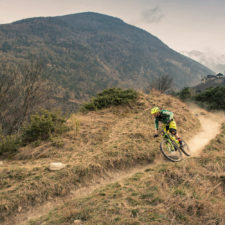 There is simply no better way to make riding faster, safer and more fun than a quality full suspension mountain bike. Engineers have poured hours developing suspension that gobbles up bumps and maximizes traction. That said, how we talk about suspension is stuck in the 1990s; with almost every brand claiming they’re the only one to have solved suspensions’ achilles heel (whatever that is) with their new linkage or widget. This mismatch between marketing hype and engineering reality has led to a widespread misunderstanding of how suspension actually works. 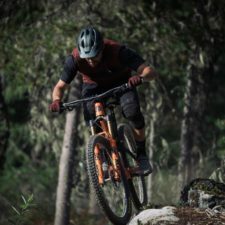 This post is our attempt to demystify suspension and, hopefully, give you enough information to make an informed purchase and unlock the benefits of your next full suspension mountain bike. The Norco Sight was one of the bikes that made us bring Norco to Boise. It’s combination of stellar suspension, smart spec and affordable price is pretty unique. It’s always nice to find out that others agree. This time it’s the folks over at bike magazine, whose 2018 Bible of Bike Test just dropped this week. 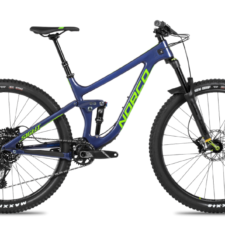 In a test with no shortage of remarkable bikes, the Norco Sight was a favorite. Enter the sum of 9 + 9 below to prove you are a human.